and passionate about worshipping God! Share their faith with others. We have several Children’s Ministry Events throughout the year, including Summer Activities, Summer Camp and SOS monthly events . In addition to periodic mailings for specific events, we have a weekly e-bulletin. This newsletter includes important information like a calendar of events, upcoming service opportunities, and a few fun spots like our birthday spotlight! 4 months – 3 years olds will have full time childcare provided beginning at 9:00am either in the nursery or in the tiny tots area down the preschool hallway. Erin is married to Ronald Gulick and they have 3 children. She graduated from Abilene Christian University with a degree in Elementary Education in 2000 and taught second grade for Loudoun County Public Schools for four years before becoming a stay at home mom. 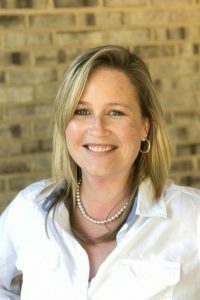 Erin began working part time for Fairfax Church of Christ in 2012 as an assistant to children’s ministry prior to becoming the full-time Children’s Minister. She loves working with children to discover the exciting truths in God’s word. Let them come to me, for the Kingdom of God belongs to those who are like these children. I tell you the truth, anyone who doesn’t receive the Kingdom of God like a child will never enter it.